This is how it all started. The Classic Foosball one-man goalie table will provide hours of rockin’ good fun and entertainment. 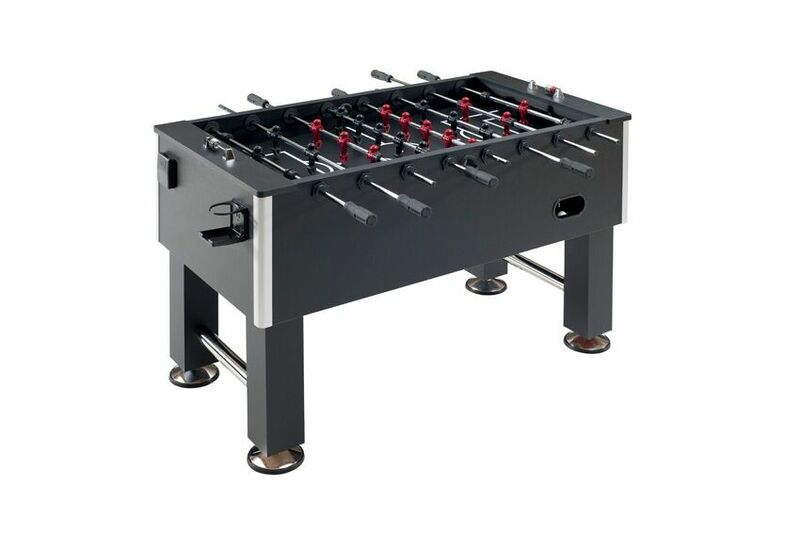 Like its big brother the Sterling Foosball table, the Classic is Durable enough to take on the challenge of many strong arm contenders. The Classic has counter balanced men for improved play, 4mm seemless tube rods built to take the constant pounding and oversized split bushings to give you smooth , quiet and heart pounding speed. A tough double sided high pressure laminate playfield will take all the abuse you can dish out. Includes side drink holders for your favorite beverage.